Strength and conditioning coach Danny Wilson reviews his time spent with the Ingle Gym boxers on their warm weather training camp in Fuerteventura. Away from their Wincobank roots, the Ingle gym boxers have a second training home in Calle de Fuste, Fuerteventura. Experienced coach Dominic Ingle has taken his stable to the canary island around twenty times, being accommodated and well looked after by gym owner Adam Bailey. Despite this being normal practice for the Ingles, this was a special camp in the build up to Kell Brook’s gigantic fight against Gennady Golovkin on Saturday 10th September. This meant that Boxing Science strength and conditioning coach Danny Wilson was flown out to support the current IBF world welterweight champion for a fight that’s captivated the world of boxing. All the training was focused on preparing Kell for the biggest test of his career, however, we still found time to support other Ingle fighters on the boxing science program. We review the progress of super-bantamweight champ Kid Galahad, talented featherweight Jordan Gill, and flyweight prospect Kyle Yousaf. 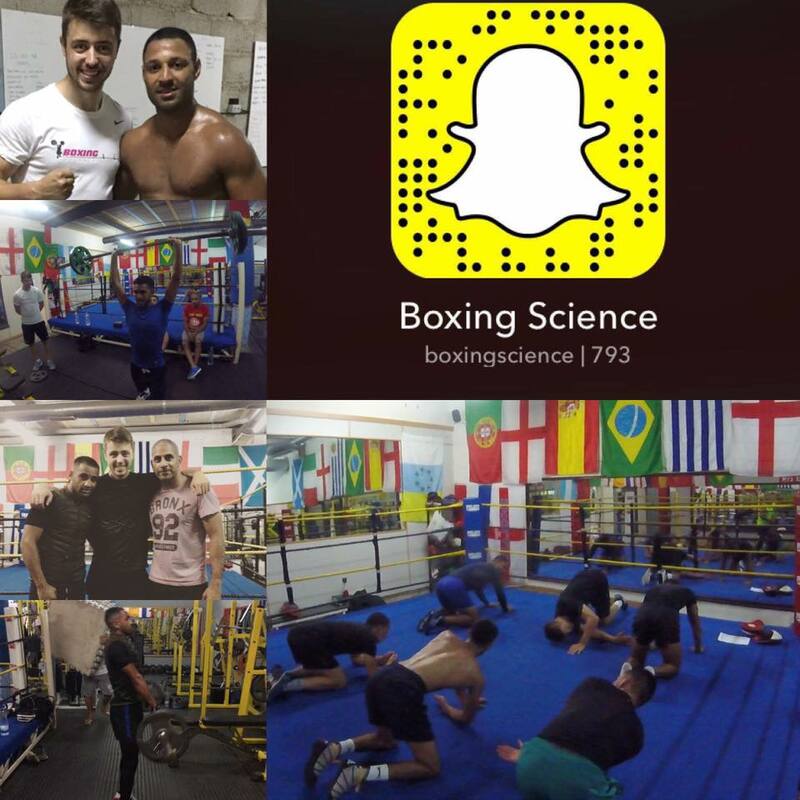 Barry Awad has been on the boxing science program for 15 weeks and really adapting well to the boxing science method. The former British, commonwealth and European super-bantamweight champion has accelerated through several programs already, mastering the key lifts and smashing high-intensity conditioning protocols. On camp, we started to introduce Barry to ‘triples’ during strength work. This is a natural progression on a strength program after building strength and movement foundations. We used the gym aware to measure bar velocities to see how he responded to lifting heavier weights to build a load-velocity profile. This will help improve the structure of the next phase of his program as we aim to improve his explosiveness. The longest serving boxing science member from the Ingle Gym, Jordan’s skill and strength levels impressed his stablemates. Jordan’s camp is already 10 weeks in, meaning he’s made leaps and bounds on his main lifts. Jordan had already made massive improvements in his strength training, so we used the Fuerteventura camp as a transition between maximal strength and strength-speed before progressing to his explosive training phase. We continued to use back squat and bench press, whilst introducing explosive such as exercises power cleans and push jerks. Jordan left the Spanish island with some new personal bests, with 3 reps of 80 kg on Bench press and a massive 100 kg on back squat, making him one of the strongest on the boxing science program, and the best pound for pound. This is excellent progress, a result of Jordan’s hard work and dedication. ‘The Golden Kid’ Kyle Yousaf has just returned back to training following a short break after his last fight which he won by 1st round knockout. Kyles been quick to regain his strength and speed, recording a personal best of 80 kg on the back squat… This is impressive to say he fights at a modest 52 kg. We’ve also introduced the flyweight prospect to the split jerk, and he managed to push his bodyweight overhead after just a few sessions. We were really impressed by this! Click the link and leave your e-mail to receive a 10% discount code before official release of the program.